Are your windows dated and need to be replaced? Having been in business since 2003, LYF Construction is the window replacement contractor you need to call to have the windows of your residential or commercial building replaced. LYF Construction has an outstanding track record of satisfying customers through our skilled craftsmen, superior products, and responsive customer service. Save money on energy bills - Old, outdated windows may not be insulating your building as it a window should, cause your heating, air conditioning and electric bills to skyrocket. Extend the life of your A/C unit and furnace - By installing energy efficient windows, your A/C unit or furnace won't have to work as hard to cool or heat your house. Easy to clean - Modern, vinyl windows have a sleek design allowing you to easily clean the inside and outside of the windows. No painting needed - The vinyl surface of the window is such low maintenance that there's no need to even paint it. Just wipe it down from time to time, and it's as good as new. Add value to your properly - Everyone knows newer vinyl windows are more energy efficient and look amazing. This itself adds so much more value to your property. Add curb appeal - Vinyl windows look clean, sleek, and beautiful. LYF Construction carries a wide selection of specialty windows in designer shapes, including rounded tops, trapezoids, ellipses, and architectural shapes. But if a square is what you want, we have that too. 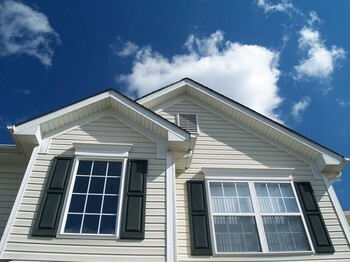 When homeowners or businesses need their windows replaced, they know to turn to LYF Construction. We have the skilled staff and highest quality products that homeowners and businesses can count on. To have windows replaced in your home or office, call LYF Construction.